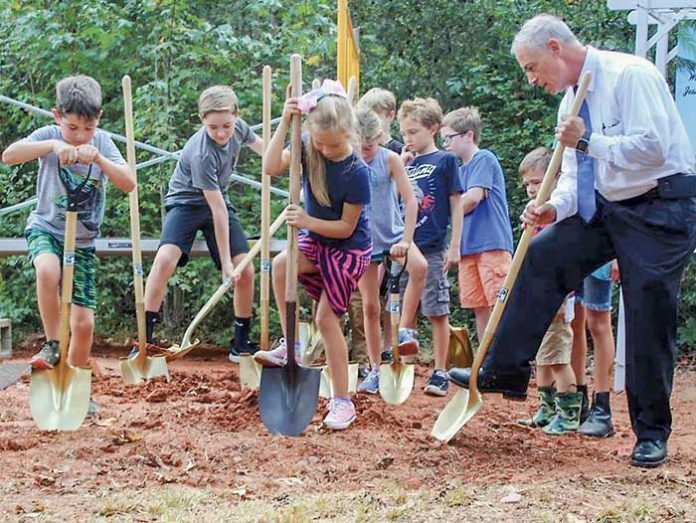 Word of God Lutheran Church broke ground for its new building Sept. 30. The new location is on Ga. Highway 34 West in Sharpsburg. Located about one mile west of Sam’s Club, the wooded 17 acres runs along the banks of Shoal Creek. The new facility will be built by the Tomco Construction Company and is expected to be completed by summer of 2019. Founded in 2010, Word of God Lutheran Church is located at 303 Kelly Drive in Peachtree City.